Taking a trip with Josh is not only a great learning opportunity, they’re just plain fun. Birding is often more social than just searching for birds. The conversations, fun moments and light atmosphere Josh provides make trips comfortable and enjoyable. Planning is at the core of every good trip. Time and effort go into every trip and in the midst of learning, special memories are built and never forgotten. There are many opportunities to join Josh on a trip or walk. Some go for the economical day trip to a special birding area while others prefer a bit more investment for a long weekend trip to Michigan’s northern most wilderness areas. Even if you can’t afford to go on a paid trip, Josh offers several FREE opportunities every year. Josh’s goal is to make the natural world, especially birds, accessible to everyone. Join Josh on a trip you won’t forget! 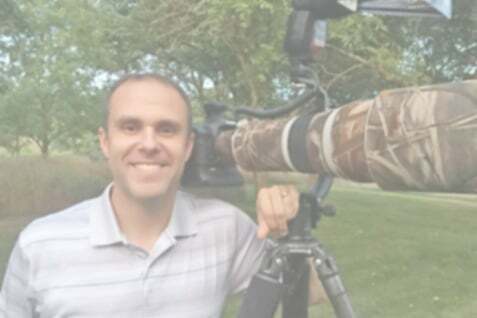 Trip Details: Josh is partnering with the Hawk Migration Association of North America (HMANA) to offer a wonderful trip to Michigan’s Upper Peninsula and one of Josh’s favorite birding and photography spots, Whitefish Pt. Witness big flights of raptors along Lake Superior atop the hawk deck at tree-top level. All the usual suspects will take your breath away as they fly overhead and around the deck milling around the point before making the journey across to Canada. But it’s the specialty species such as Rough-legged Hawks, dark-morph Red-tailed Hawks, Golden Eagles and Northern Goshawks that make Whitefish Pt. one of the most famed hawk watches in North America. Leary migrants hesitant to make the journey across to Canada often find their way in front of the deck multiple times, giving more chances of seeing and photographing these amazing wonders of nature. This exciting tour will include daily hawk watching, instruction on how to identify them at a distance and what makes this trip very special is the photographic instruction every step of the way. This includes the best ways to photograph hawks in flight, photographing songbirds, along with side trips after specialty UP birds such as Crossbills, the elusive Spruce Grouse, possible Gray Jays and Snowy Owls (if migration supports). Tour cost includes guide(s), ground transportation from the Detroit, MI area for those choosing to fly into the Detroit Airport (and transportation around the Whitefish Pt. area), park fees, lodging and most meals. Airfare to and from MI not included. Contact Julie Brown (julie.tilden@gmail.com) or Josh (josh@hawksonthewing.com) for more information. Also see full details by clicking HERE. Feel free to call or e-mail if you’re interested in a trip or have any questions at all.